It’s devastating to fail the CPA exam. Countless hours to study and thousands of dollars wasted. I know, and I am trying to help. And here is the same information if you prefer to read the text. You may be working full time, busy taking care of kids, and other commitments that eat away the time for proper PA exam preparation. Totally understandable. Did you fail to complete all the coursework before the exam? Or did you finish but it’s more like skimming without real understanding towards the later chapters? If the answer is yes, then great — you’ve identified one of the reasons, and you can work on this to greatly improve your odds in the next attempt. Finish the coursework. Start studying where you left off, or backwards if you think you didn’t really understand the concept in the later chapters. Evaluate using the diagnostic test. Most CPA review software comes with features that identify your weakest areas. Make sure you work hard on them and get every single MCQs right this time. Create more study time. Let’s be creative — wake up an hour early, study between children’s naps, bring a lunchbox and study during lunch hour, use mobile version of the review courses to maximize your study time… the list goes on and on. Let’s be honest — did you put in your best effort in your CPA exam prep? Seriously, did you go right to the test bank, or kind of check your email, grab a coffee, then go to facebook… and wasting the most valuable, freshest morning time to “warm yourself up”? You get the picture. I took the sample test from the AICPA website. That’s it. I took the Becker course. I relied on the Wiley Book as my only resource. Hmm. What makes you think that’s enough? You may be a A+ student, but the CPA Exam isn’t just a test in accounting. You need TACTICS to succeed. Did you know: all major CPA exam review courses have a 85%+ passing rate, vs a passing rate of <50% for the Uniform CPA Examination overall. It looks like the chance of another failure can be drastically reduced based on this statistics. I strongly suggest you sign up to a CPA review course — they work! You can check out the pros and cons of major CPA review courses here. I feel for you. You paid $3,393 and managed to fail the CPA exam flat out. Then Becker asks you to pay $1,000+ to retake something that obviously didn’t work out for you. Something isn’t right. I tried Becker myself and I knew the live classes, at least, could be boring and ineffective. There are alternatives that work much better, I promise you. Same as above, I’d like to ask you a question. Do you think you grasp all the concepts in the course? I have to say the Becker lecture notes are pretty good. You may only need to do more practice test to get that extra 5-10 points. If this is the case, get yourself the Wiley Test Bank (or Gleim Test Prep, if you want trickier questions) and work it through until you get 100% right. Yes that’s a lot of work but it is the most effective way to tackle this exam. And you don’t need to regret spending another 4-digit on something that’s not necessary for you. But if you think you need to clarify some accounting concepts, you might want to consider other review courses that’s more suitable for you. Yes, getting the Wiley book is the cheapest option of a review course (if it can be called a “course”) , but did you actually study (vs flip through) the entire book? The book is very comprehensive but this perceived “strength” is a weakness for exams — because it could be hard to read. My opinion is that the book can be a great learning tool but some of us need to take another step or two to take good advantage of it. You will like this because it won’t cost you any extra. Write your own notes based on the book content, either on note books or 3×5 flash cards. Not only that it helps retain the materials during the read-copy-and-reread process, the notes will be presented in the format you are most familiar with. Give it a try at least one a couple of sections and see if it works. (ii) Did you get the Test Bank as well? The exam is in 100% computerized format — studying is one thing, but if we are to practice only with pencil and paper i.e. not on a platform that closely mimics the actual testing environment, it’s pretty hard for you to pass. With that I very strongly recommend you get the Test Bank. You might think this is an unnecessary cost (since some Q&A are in the book anyway) but in your case it can make or break your chance of success. If budget is a concern, then you should really check them out because I buy the Test Bank in bulk on behalf of my readers and offer them at a good discount. Once you get the Test Bank, keep working on the practice questions until you are 100% correct (repeat those that you did wrong — TWICE — to make sure you get it). If you are done and still have time and energy, redo all. I can guarantee that you will pass (with good grades!) following this advice. 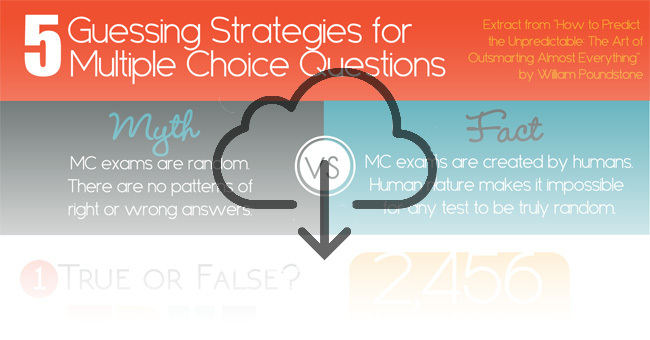 To help you pass in your next attempt, I am giving away this exclusive strategy for multiple choice questions, based on the latest research by William Poundstone. These tips will be sent to you together with the Wiley PIN. Some of you may be thinking about walking away and giving up. This is the last thing you want to do. The score doesn’t reflect your ability — it could simply means a lack of study time and quite likely some luck. If you keep going and push a little bit harder on your next attempt, I am sure you can nail it. Take a good break, devise a solid study plan, and face it head on again. Best of luck! I failed the FAR section for the third time using beckers, every time landed in 71’s or 72’s. Thinking of getting the wiley software but some of the reviews say that they have lots of errors in the software.What is your opinion. I failed the bec section 2 times one time I had use becker, and second time I use wiley. I did all the question 4-5 times until I made 90% or above but still failed. Can anybody please give me your opinion. I passed BEC exam on my second try using Becker. First time I scored 67 so I knew I have to put a little bit more effort the second time. Second time I did not leave a single topic and got a 76. Still close but every single point helps. Leave nothing. its obvious that you got use to the questions in the test bank , try doing the questions blindly never look back to the correct answer. try Gliem software it will give you a good practice but try to do all the questions in the test mode and review the weak parts. damn, that applies all to me… ive learnt the pain of failing those public exam, not gonna make the same mistake again. It really did get me back the momentum, thanks! i tried the beckers material and failed FAR 2 times and BEC 2 times and i gave up completely..but nw after 1 year i feel i should give it a try again..but i dont want to spend lots of money and end up in a miserable situation..how should i go about this..after the 1 year gap i am not sure hw much of the preparations i did i remember nw..where to start and hw to get prepared..do we have to be working in the field to be on track with this..is it better i not try again? I used CPAexcel and took AUD and BEC..failed both. I was confident enough during my preparation that I’ll pass both but didn’t. Though I came across ques on exam to which I didn’t know the right answer and had to guess the closest possible. Please let me know if I should re-prepare from new review courses or should I add supplement material to CPAexcel. If i purchased book now e.g Business January 2017 edition, will this books helpful for April or onward exam? hi Riaz, I believe publishers are putting off publishing the latest version later this year because of the change. At least this is the case for Wiley. In any case, the content itself doesn’t change much, it’s the format that’s going to be changed. So I guess it is ok.
Hii I have the study material of becker 2015. Will that work to clear the exam of 2017 or it is outdated one. Pls suggest. As I purchased that material last year only. Hello Stephanie, I really hope I pass the CPA on the first try. I am using Gleim. How do I know whether I studied and prepared enough?